Simon de Passe (1595-1647), Engraver. Artist associated with 202 portraits, Sitter in 4 portraits. Compton Holland (died 1622), Print publisher. Artist associated with 43 portraits. 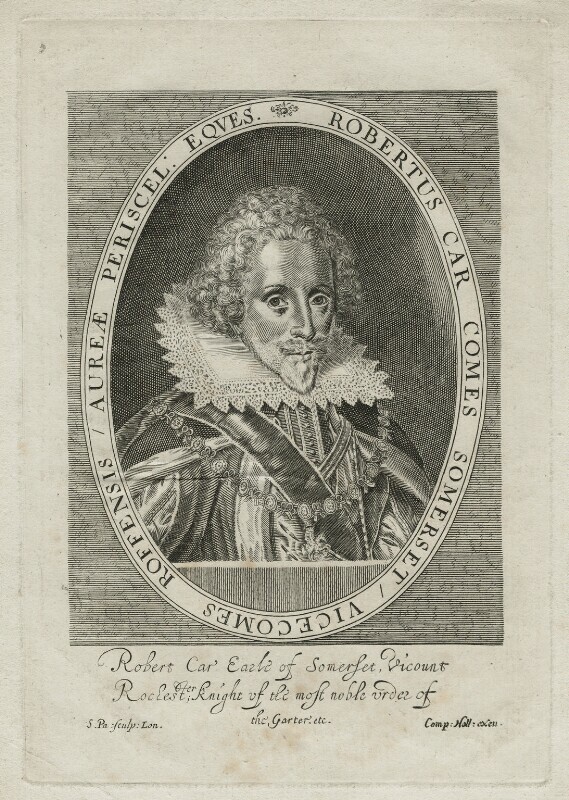 George Villiers, Duke of Buckingham, is knighted and appointed gentleman of the Bechamber and replaces Robert Carr, Earl of Somerset, as the king's favourite. Buckingham would prosper under the king's patronage, advancing rapidly through the peerage. The Somersets stand trial for the murder of Sir Thomas Overbury. James I produces Remonstrance for the Right of Kings and the Independence of their Crownes, in which he defends European kingship and directly confronts the papacy. Architect Inigo Jones is appointed Surveyor of the King's Works and would hold the post for 27 years. The Spanish court send official articles to serve as a basis for negotiations concerning a marriage alliance between Charles, Prince of Wales and the Spanish king Philip III's second daughter, Maria Anna. Marriage of French king Louis XIII and the Spanish Infanta, Anne, Philip III's eldest daughter.